It's slightly bizarre to realise that, at a time when there was regular bombing, that the authorities were as keen as ever on enforcing closing time. Usually prosecution was followed by a heavy fine. You might have thought that the police had rather more serious matters to worry about than serving the odd pint after hours. One of the weirdest aspects of the law at that time was that it wasn't just the licensee who was breaking the law by serving drinks, but also the customers that consumed them.Though that's not strictly speaking true. Only selling drinks was againts the the law. It was perfectly legal for a landlord to give away drinks to guests. That was, the usual excuse when caught serving after hours: that the drinks had been supplied free of charge and that the customers were actually guests. It wasn't usually very successful. Though in this case it was. "There is abundant evidence that these two people were not mere customers but close friends of the licensee." declared the magistrate, Sir Gervais Rentoul, at West London Police Court on Thursday, in dismissing summonses against the licensee of the "Star" public-house, alleging the sale and supply of intoxicating liquor after closing time. The licensee Henry Samuel Perkins, had also been summoned for shading and abetting Patrick Crean and Mrs. Jessie Metcalfe in consuming liquor after permitted hours and they in turn were summoned for so doing. Inspector Franklin had described at the previous hearing how he stood outside this public-house after closing time and heard the sound of voices and the till being operated. The house closed at 10 p.m. but at 11.10 p.m. the wife of the licenses let some persons out by the side doer. When the police entered there were people in the bars and the inspector found Crean standing holding a pint glass containing beer in his hand. Mrs. Metcalfe had a glass of light ale, while there were three other glasses containing beer on the counter. All the drinks appeared to have been recently served as they all had froth on top of them. The licensee declared that no drinks were served to customers after ten o'clock. Crean end Mrs. Metcalfe were not only customers but close friends. Mrs. Metcalfe assisted in the bar during week-ends and on this night she had helped in sweeping up the bars. She had attended his daughter's wedding and was in fact a very great friend of his wife. Mr. Perkins added that he often went to football matches with Crean, who was the captain of the "Star" darts team. The drinks on the counter were supplied by the licensee for his two guests, his wife and self. Dismissing all summonses. Sir Gervais expressed the opinion that the case was rather different from others he had had before him and that the licensee had satisfied him that these people were his guests." West London Observer - Friday 18 April 1941, page 3. I'm not sure why the landlord was believed in this case. Perhaps because there were obvious ties of friendship between hin and Mr. Crean and Mrs. Metcalfe. One beery point. 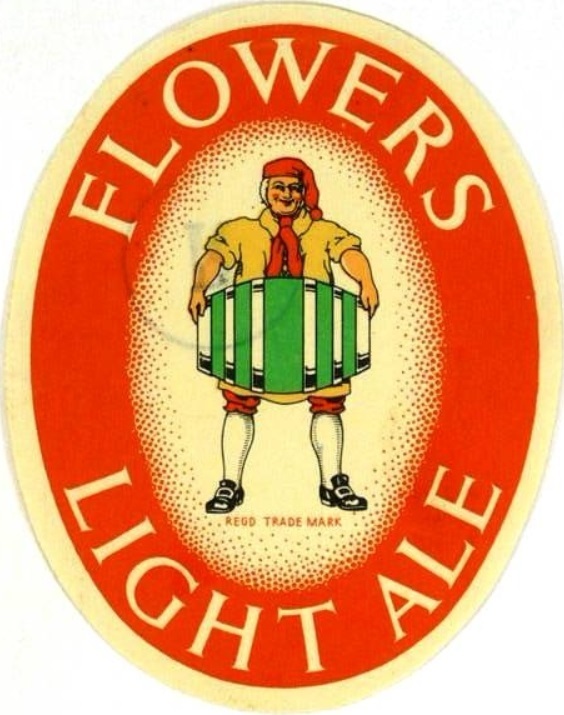 Though not many beers were called Light Ale by brewers, it did seem to be an accepted term for a type of light, bottled Pale Ale. Brewers and labels only really caught up with this convention after WW II. 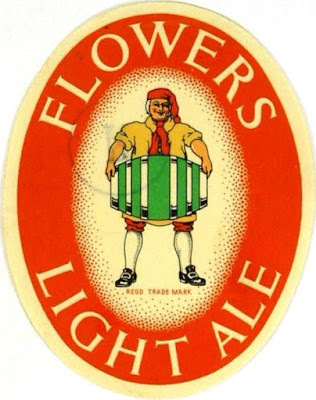 This is one of the reasons it's hard to pin down much hard information on Light Ale from brewing records: there's almost never a beer called that. Though it's probably fair to say that any bottle Pale Ale with an OG under 1040º was probably sold as Light Ale in pubs. There's a similar, but slightly different problem with Brown Ale. That was usually what it said on the bottle, so identifying what was a Brown Ale is less tricky. But again there's rarely a beer in the brewing reords called that. The reason being that many brewers' Brown Ale was simply a tweaked, bottled version of their draught Mild. Shut up about Barclay Perkins - Just a few hours of discount to go!